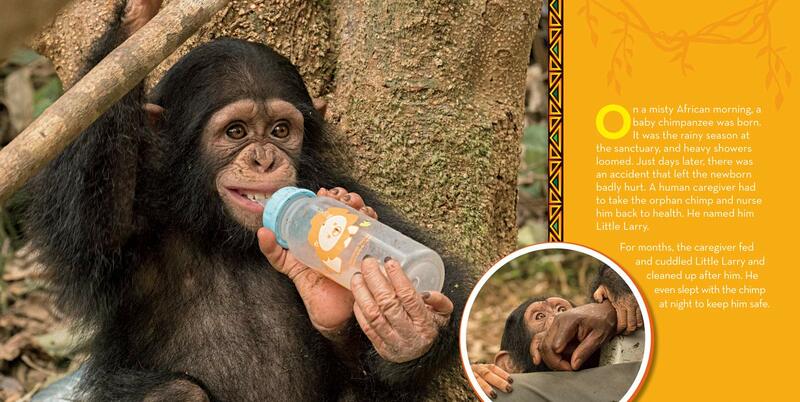 Summary: Shortly after his birth, Little Larry was injured in an accident and rescued by humans. His caregivers taught him some rudimentary chimpanzee skills, but he didn’t hang out with other chimps until he was eight months old. He got along well with his playmates, but seemed to be afraid to climb trees. After months of watching the others climb, Larry slowly started to explore, first on vines close to the ground, then eventually high into the trees. After graduating from his forest school, Larry was released into a chimpanzee sanctuary in Cameroon where he still lives today. Includes tips on speaking chimpanzee, sources of more information, additional facts; and an author’s note about the endangered status of chimpanzees. 32 pages; ages 4-8. 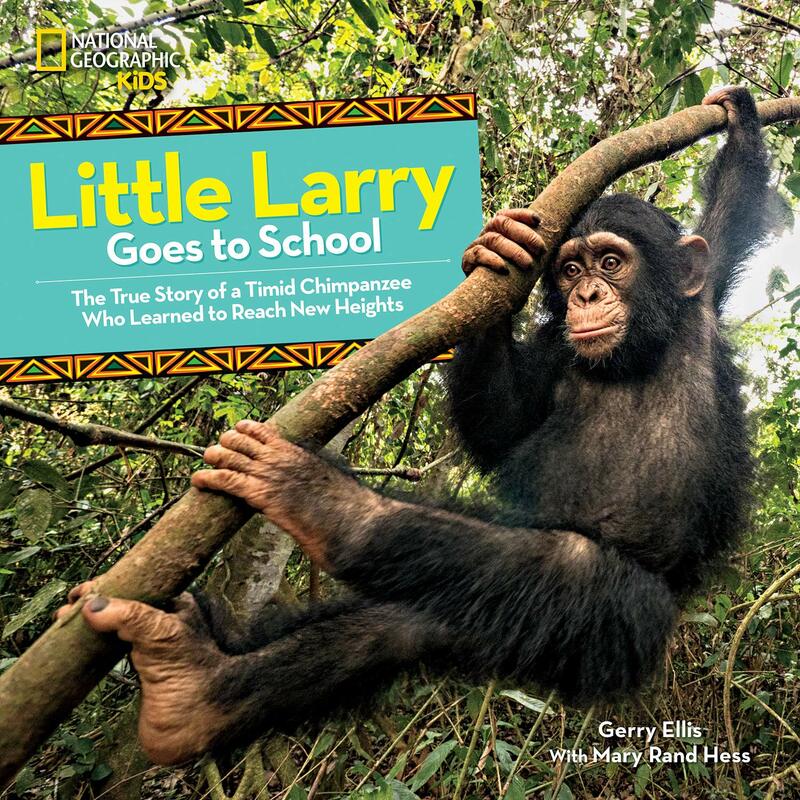 Pros: Larry’s story is short and simple, but the photographs of him and his playmates are irresistible. Facts about chimps’ diet, behavior, and communication are woven into the narrative, and the information at the end provides lots of other places to go for more research. Cons: There was very little information on Larry’s caregivers or the sanctuary where he lived.